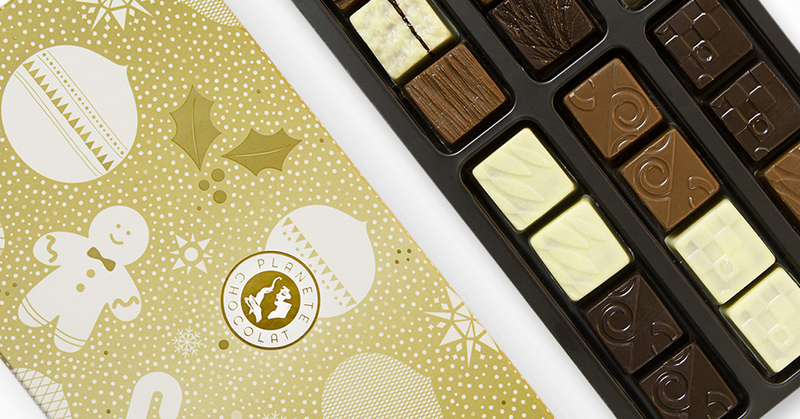 Chocolate for Christmas, a tradition. 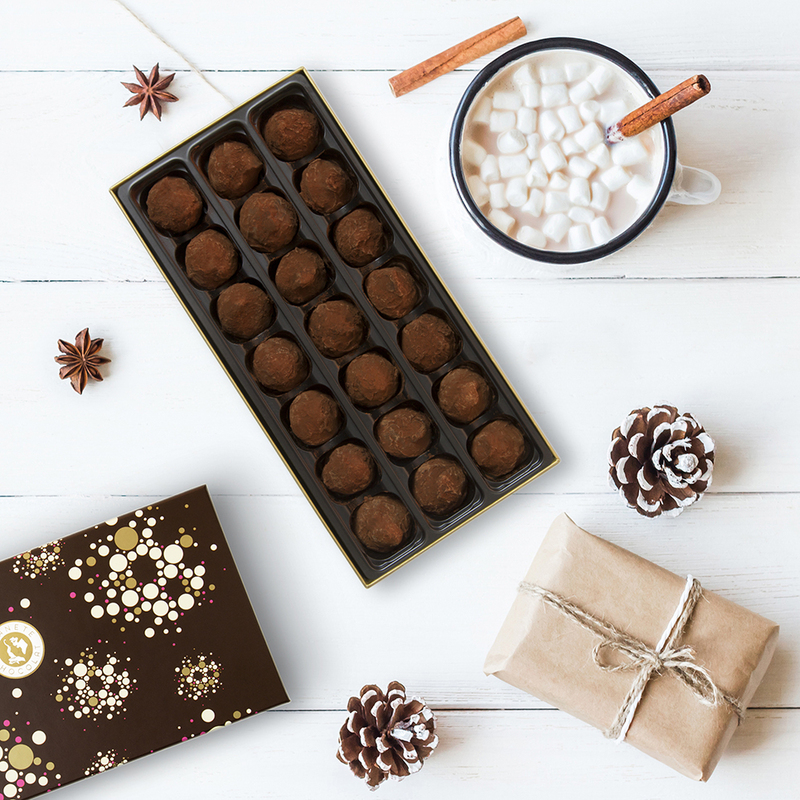 Whenever winter is fast approaching, chocolate lovers have something to warm their taste buds at Christmas time by enjoying chocolate logs, pralines, biscuits and chocolate truffles. But have you ever really wondered about where the traditions that mark this Christmas period originated from? Christmas festivities are rooted in pagan beliefs and transmissions. In fact, the date of the winter solstice, the shortest day of the year, has always been of particular interest to people. It represented the start of a new cycle with the return of the sun to grow future crops. Thus, the 25th December was the celebration date of the rebirth of Sol Invictus and Roman Saturnalia. Moreover, the Saturnalia lasted several days, people wore garlands around their necks and gave each other christmas gifts... yes, even then! This origin can be seen in the very name of Noel, a synonym of "nativity" in many languages. In numerous cultures, this day is also associated with multiple beliefs relating to motherhood, fertility, reproduction, and even astronomy. It wasn't until the fourth century that this pagan festival was officially incorporated by the Christians and became the commemorative date of the birth of Jesus Christ. Biblical references have picked up the symbol of the new solar cycle, metaphorically calling Christ the "new sun" shining on the world. Thus, around December 25, the celebrations of the Nativity are joined with the Easter cycle. The latter includes a preparatory phase, Advent, which lasts 2-4 weeks, and a phase remembering the presentation of Jesus at the Temple, which ends February 2, at Candlemas. The midnight mass came into existence during the Middle Ages, whereas the development of the nativity scene was established during the Renaissance. Today, the religious festival gives way to a secular and family celebration which nevertheless incorporates the traditional elements of the past centuries. For example, the Christmas tree is a tradition from Germany during the Renaissance, even though the representation of the tree, a symbol of the renewal of life, dates back to the Egyptians... yes, even then! 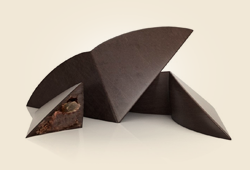 The famous chocolate log also has an origin linked to the winter solstice, which dates back to the Middle Ages. The day when the sun is at it's lowest on the horizon is a sign of the harsh winter season. Therefore each fireplace burns large slices of wood to heat homes, creating a fire around which the whole family would gather. From the twelfth century, the Catholic Church also started this tradition again, introducing various rituals such as the sprinkling of holy water, salt, cooked wine, or oil. It had to be used for three days, on pain of bad omens. During the nineteenth century, heating appliances such as cast iron stoves replaced fireplaces. Logs of wood became decorative, before some pastry chefs had the idea of turning them into pastry logs. The chocolate icing looks like the bark of the natural log once used. Note that chocolate is present in Christmas traditions all around the world, like in Mexico where the turkey has a layer of chocolate on top, or in Italy where children receive pieces of chocolate from the witch Befana. At your chocolate, ready, eat! 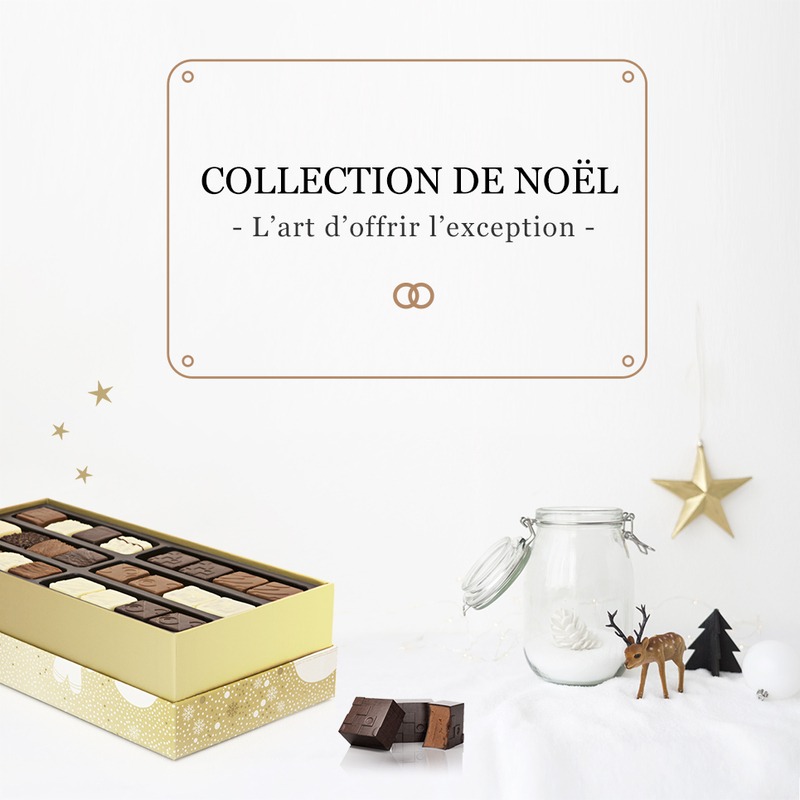 The maison Planète Chocolat carries on these chocolate Christmas traditions with great pleasure, by putting a large range of delicious products at your disposal. 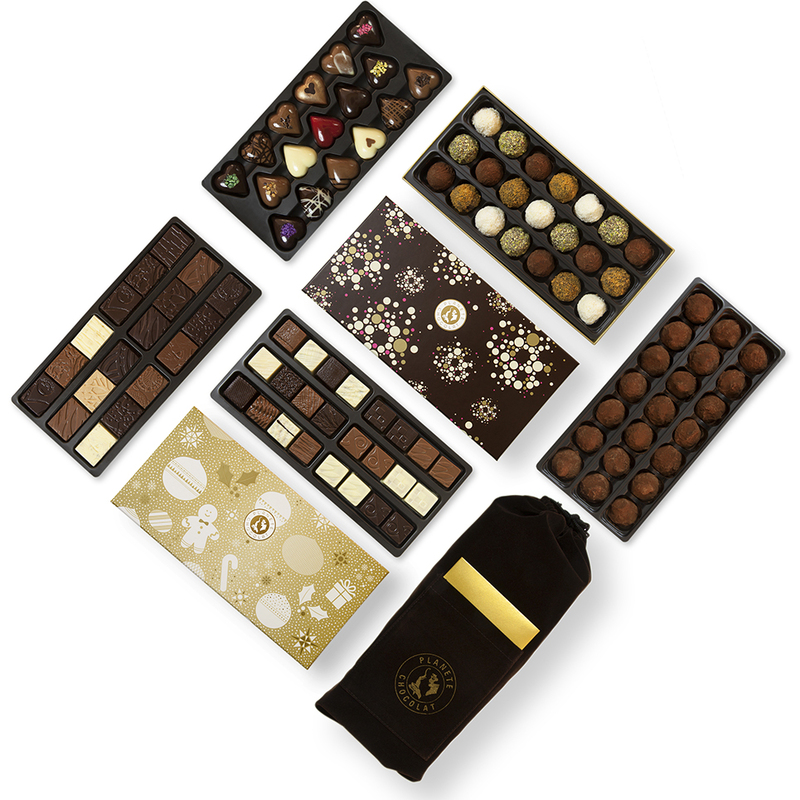 Discover, for example, a selection of truffles that will surprise your guests at dessert time. Decorate your Christmas trees thanks to chocolate Christmas balls with which children amuse themselves by eating discreetly behind your back, and have good times with your family by sharing some artisanal Belgian quality biscuits. 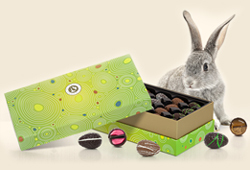 To replace the chocolate log, consider some succulents chocolate pralines presented neatly together in a sweet box. 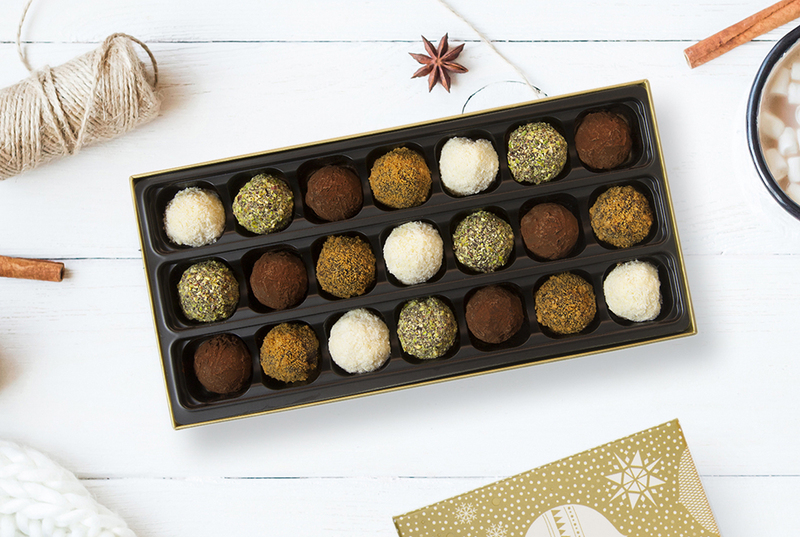 The biggest food lovers can finally pique their curiosity by eating original truffles, modelled on ganaches of Spéculoos, Coco, or pistachio.